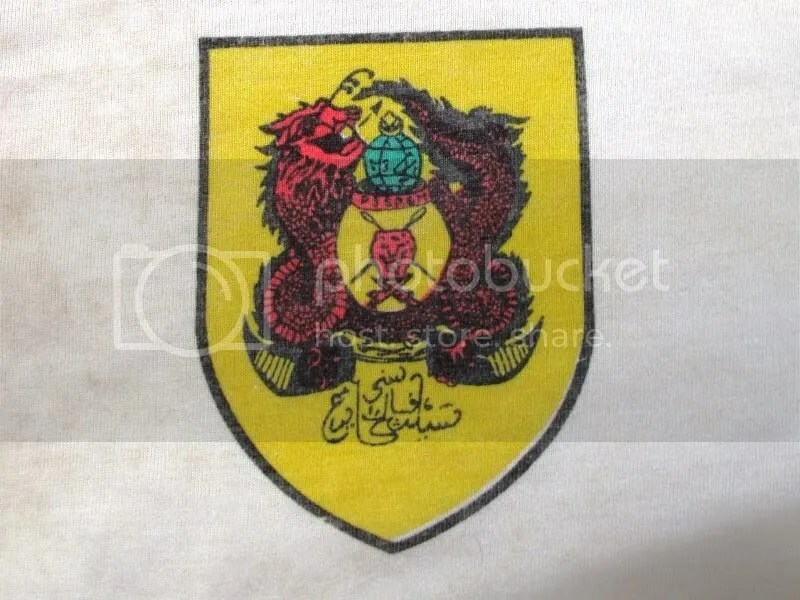 Lencana Pusaka Gayong 1: The yellow dragon on my torn shirt.. 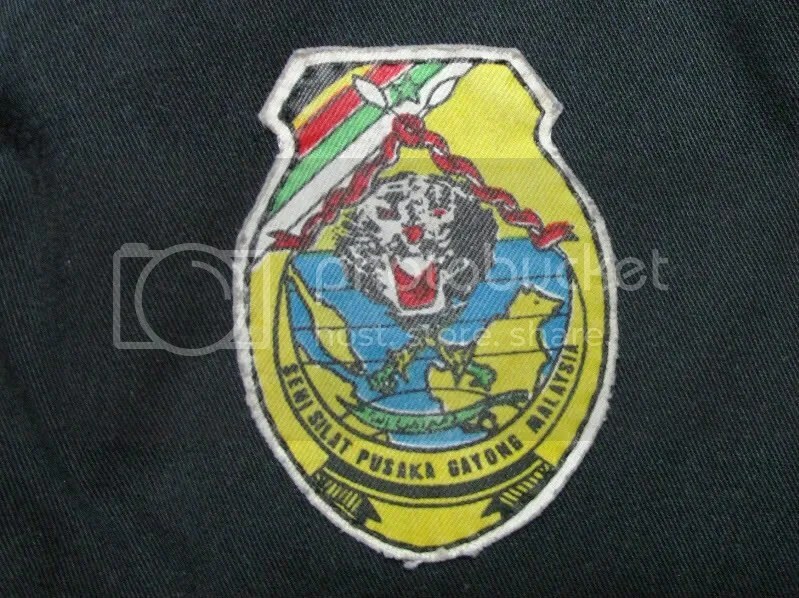 When I joined silat during my schooling years, the badge that I got was the lion edition (below). Some other version of this badge that I saw was the white sea, instead of blue. Lencana Pusaka Gayong 2: The lion version on my training uniform. 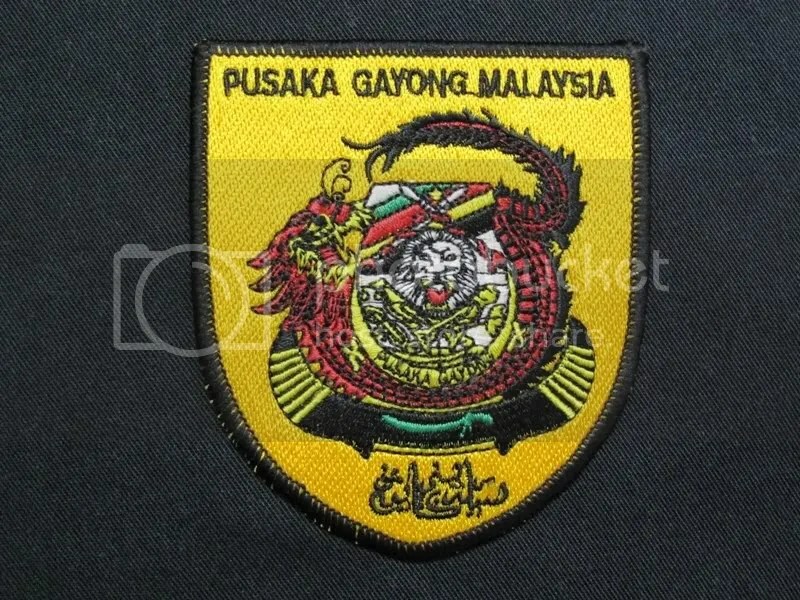 Lencana Pusaka Gayong 3: The lion in the dragon badge that I keep..
PSSPGM? Do you know Cikgu Majid?